Maintenance is an all-important routine that comes with being a homeowner. Timing is equally as important to reap the most benefits out of your upkeep. The roof contributes to about 30% of your home’s overall curb appeal. By properly scheduling roof maintenance with your general contractor, you can detect roofing issues just as they are starting. This gives you a chance to curb them before they become significant problems. As a homeowner, you can’t leave things to chance. Like now when winter is almost upon us, you need to ensure that your roof is in prime condition to handle whatever the weather throws its way. Keeping your roofing system in good condition means keeping your home safe from premature wear and tear. Its constant, 24/7 exposure to the elements means it will often show signs of degradation that you can prevent with strict maintenance. Consult the most trusted roofers in your area to determine the times of the year to conduct routine inspections and maintenance projects. When all is said and done, the roofing system is one of the most crucial and expensive components of your home. You’ll want it to last and be in as pristine a condition as possible. 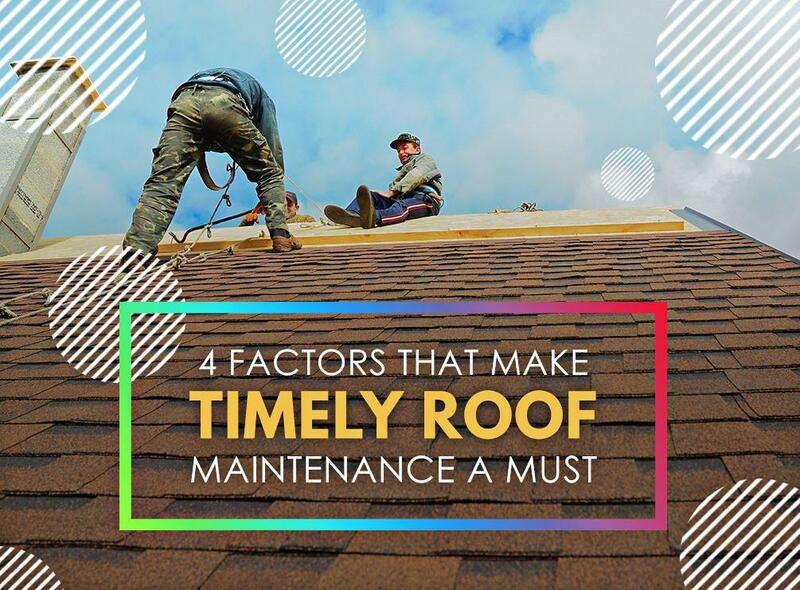 With timely roof maintenance, you can make it reach its expected service life or even beyond. You can count on Krier’s Construction for all your home improvement needs, from landscaping to roof replacement. We take your ideas and turn them into reality. Our service area includes multiple areas in Wisconsin, including Appleton, Green Bay and Oshkosh. Call us today at (920) 328-0747 for design excellence with the most bang for your buck.